To increase pH, use 1 teaspoon (6 g) for every 80 L (20 US gallons) daily until desired pH is reached (this dose raises alkalinity by about 1 meq/L (2.8 dKH)). For precise dosing, use the Seachem Digital Spoon Scale. What is the difference between Neutral Regulator®, Discus Buffer®, Alkaline Buffer™, and Acid Buffer™? A: Neutral Regulator® and Discus Buffer® are phosphate based buffers providing a very strong and stable buffering system. 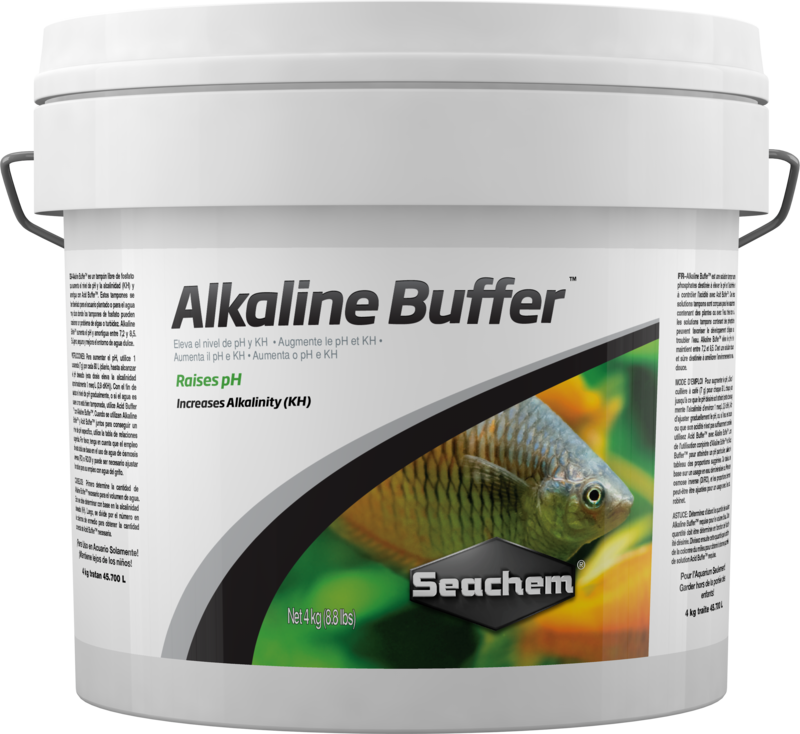 Alkaline Buffer™ and Acid Buffer™ are non-phosphate buffers, which although less stable than a phosphate buffer, are ideal for the planted aquarium where high phosphate levels would lead to an algae problem. 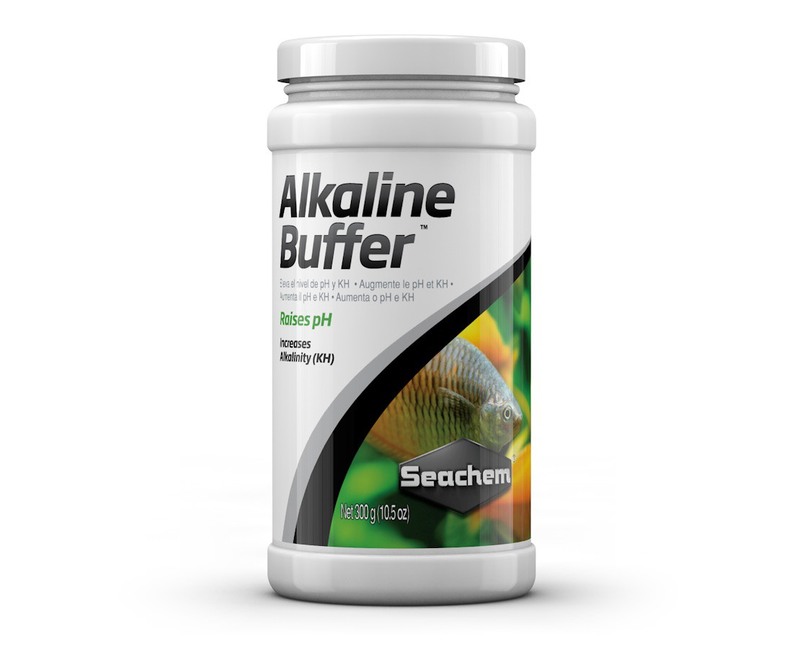 Is your Alkaline Buffer™ a sodium bicarbonate?